Consider a donation in your conference registration to our Summer Conference Give Back Program which sponsors a school in our conference city or click the icon above to make a contribution. With your generous support, ATE hopes to raise over $3,000. Join us and help us meet our goal. 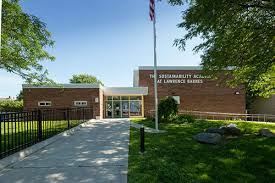 Please consider a donation to support The Sustainability Academy in Burlington School District. ATE is excited to announce that The Sustainability Academy in Burlington School District has been chosen as the recipient of the 2019 Burlington Give Back Program. ATE is proud to support its worthwhile projects! This year’s Give Back School for the 2019 Annual Meeting is The Sustainability Academy. At the Sustainability Academy they are learning together to gain the knowledge, skills, and habits off responsibile community members. They are engaged in making a difference by learning to create social, environmental, and economic justice in our community and world. Summer Conference or click the image below to make a donation to Give Back today.